Cycling is characterised by a highly repetitive movement pattern of the lower limbs and a relatively static upper body posture. Pain and other symptoms affecting the neck, back, knees, hands, feet and saddle region are all highly prevalent and many cyclists simply accept these issues as part of the sport. In some respects this is true (if you ride for long enough you will get sore somewhere eventually), however, with optimal fitting and a sensible approach to training the frequency, severity and impact of such issues can be greatly minimised. A rider’s position on the bike is also critical for performance, influencing aerodynamics, power production and cycling economy. There are, however, often trade-offs to be made between positioning for performance and positioning for comfort/injury prevention. An expert bike fit practitioner can help you identify individual factors contributing to decreased comfort, increased injury risk and and performance limitation. Once idenitified then steps can be taken to eliminate or mitigate issues identified, taking into account individual needs/goals, task-dependent requirements and applicable sporting regulations. Why get fitted at Cycle Dynamics? 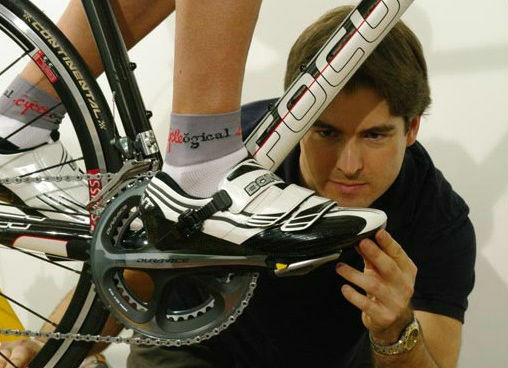 Cycle Dynamics also has a specialised bike fitting studio equipped with the necessary tools to get the job done. The Service Selector will help you choose the most appropriate option and display current fees. Online bookings are handled externally by HealthKit and the Service Selector will provide a link to the appropriate page where you will be able to view available days and time. If you already know which service you require then you may click here to HealthKit directly. PLEASE NOTE: that this is only recommended if you have been informed by Cycle Dynamics which service to book. This applies even to returning clients as the appointment structure may be revised and updated from time to time. Should you experience an adverse response to any bike fit interventions within the next 4-weeks then Cycle Dynamics will review your fit and make further modifications as required for no additional charge (excluding parts), subject to any limitations noted at the time of consultation (e.g. where the equipment you choose to proceed with is not optimal). This guarantee is contingent on all post-fitting advice/recommendations fit being adhered to (e.g. component recommendations, training modifications, therapeutic exercises etc). Cycle Dynamics takes a holistic approach to management and so there is often interdependency between various aspects of the intervention and advice/recommendations given. Cycle Dynamics makes a point of discussing proposed interventions and recommendations with every client during their fit to help ensure that what is ultimately done is within their resources (financial, time or otherwise). Despite this, should any of the recommendations given prove to be not practical or unachievable for other reasons, clients are advised to let us know as soon as possible so that alternative advice can be given to minimise the risk of an adverse response. If we are confident that such alternative advice will result in a similar outcome to the original advice then the service guarantee will stand.